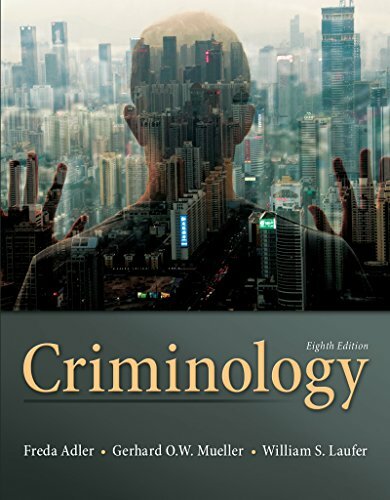 Criminology is known for its lucid style, student-oriented approach, and interdisciplinary perspective. This text discusses criminological problems, their origins, and possible solutions in a clear, practical, straightforward fashion. Students develop a thorough understanding of today’s issues in criminology and are prepared to address and resolve the issues of tomorrow. The eighth edition continues to incorporate the latest findings from criminological research into terrorism, while expanding coverage of new white-collar and corporate crimes related to the current economic downturn. New research and statistical information include coverage of neuro-criminology, evidence-based criminology, and much more. • The option to purchase (fora small fee) a print version of the book. This binder-ready, loose-leaf version includes free shipping.